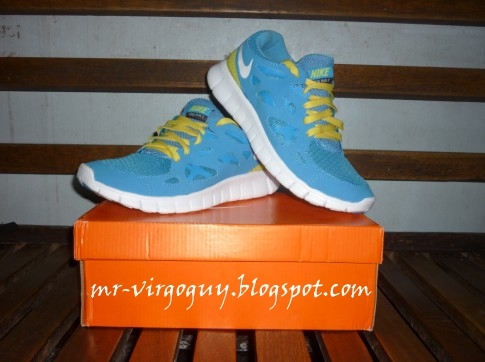 I recently purchased a Nike Free Run 2.0 from the same person whom I bought the Kobe VII Year of the Dragon. I bought it for PHP1300 (approximately US$31.16) and at that time there's a free shipping promo. The reason I bought a new pair of shoes is because a runner should have at least two pairs of running shoes that he/she can use alternately. I already retired two pairs of running shoes (I used the latest retired shoes as my casual shoes). If you are hook in running I definitely recommend buying two pairs of shoes even if its not expensive. A good running shoes should give ample amount of support and comfort. I've 5 pairs of running shoes and 5 pairs of walking shoes (sneakers) ha ha. seven pairs are of this brand lolz. you're gonna have the break in to 36th Milo run right? I need shoes as well. But Nike shoes are quite expensive and I can't afford to set aside a budget for it as of the moment. For a 1300Php? That's definitely a good deal! Considering it's NIKE. I need two shoes that I can use alternately. And PS: Hahahaha on the very subtle advertisement on the box!